Available as either a pendant, table or wall light, the Trave collection speaks of glamour and refinement. Its two-tier shade evokes the allure of the Art Deco period, with references to the aesthetic that was popularised during the ‘Golden Age of Travel’. 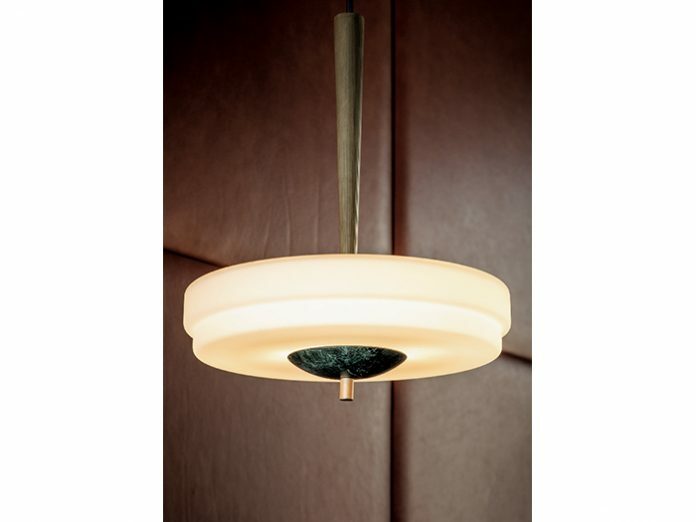 Its smooth, rounded form works together to create lighting options that offer an attractive and timeless aesthetic. The addition of marble, both Green Guatemalan and White Carrera, brings an opulent touch – while producing a light that is soft and ambient. Reeded, fluted brass stems on the pendant and table lamp versions highlight Trave’s excellent proportions.